My luck ran out and the watershed for the Jump River finally received several inches of rain which caused it to rise a couple of feet overnight. However, I was not deterred by the high water and I made my last trip to fish it this year. It was running very fast and it was now stained so I only fished eddies at the bank where I could anchor my boat. Not to my surprise the fishing was slow, but I did manage to catch a couple of walleyes, one smallie, and a bonus thirty-six inch muskie. 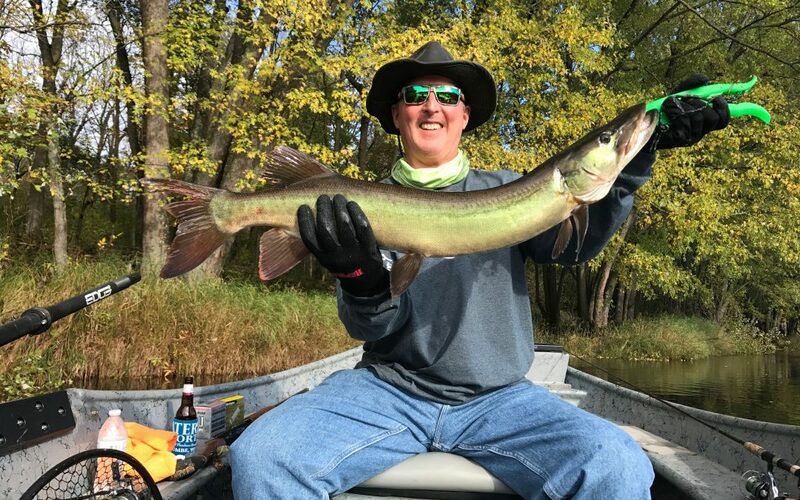 This was the fourth Jump River muskie I caught on this fall trip. With all three rivers now running high it is now time to hit the woods to hunt for some grouse and woodcock before I head back to East Tennessee.